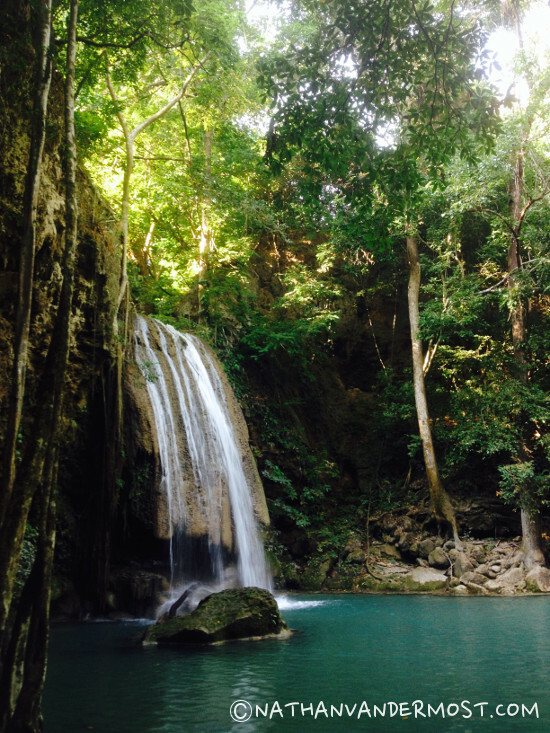 Erewan waterfalls is located in Erewan National Park which is in eastern Thailand near the small town of Kanchanaburi. 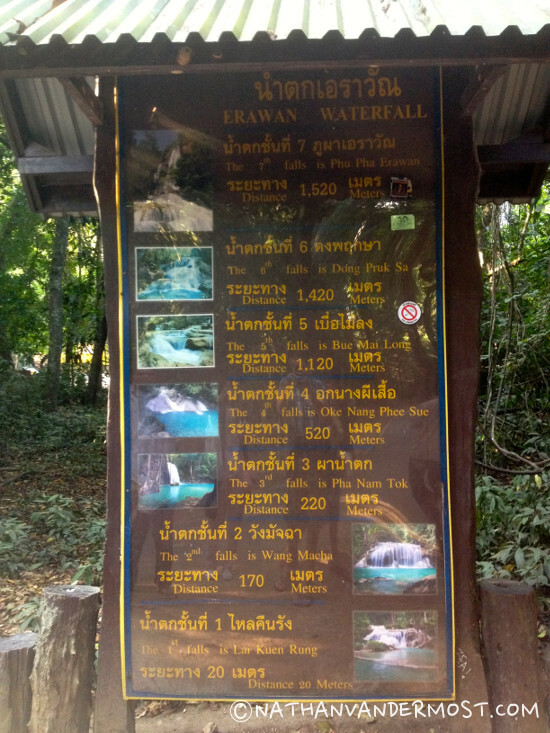 I was visiting Kanchanaburi for a few days and was told that Erawan waterfalls is a popular tourist destination to visit. 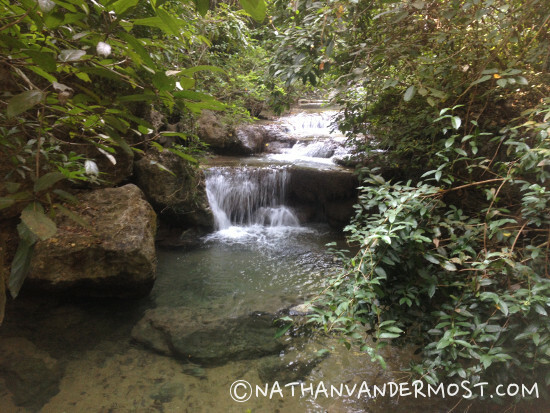 Since my stay in Kanchanaburi was limited, my girlfriend and I only had half a day to visit the National Park. 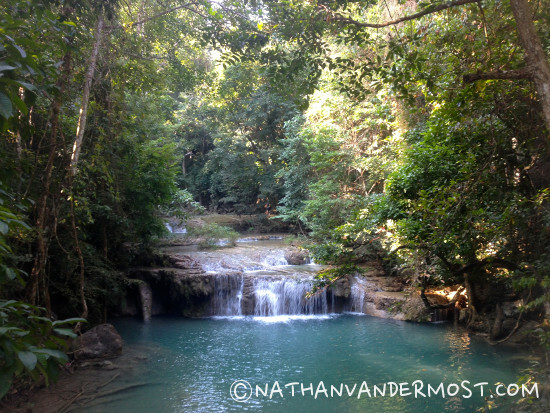 The entrance to the National Park is approximately a 1.5 hour drive from Kanchanaburi. 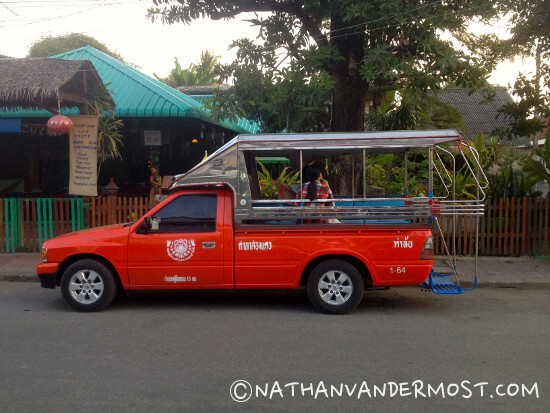 We had rented a motorbike while in Kanchanaburi but preferred to travel by van or bus since it was farther away. We contacted several tour operators that are located in town but most operators only offer full day excursions and/or include other activities. 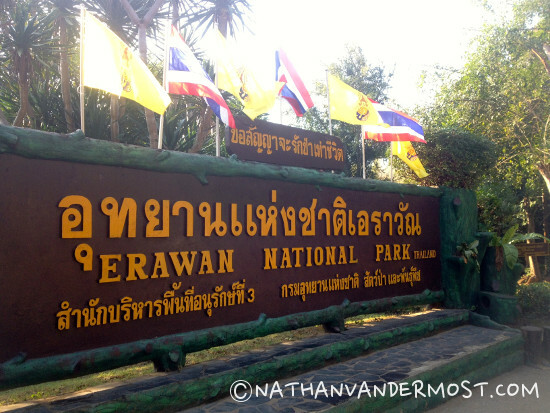 Now, we had a ride to Erewan National park for 100 Baht or $3 USD. There is a public bus that leaves the park every 2 hours starting at 10am. 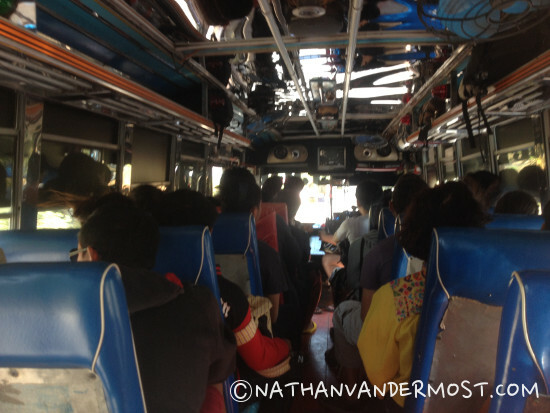 The public bus goes back to Kanchanaburi and is very inexpensive, roughly 30 Baht or $1 USD. We planned to take that back to Kanchanaburi. The following morning, we got up bright and early at 6:45am to make the 7am shuttle. The shuttle was a modified pick-up truck with a canopy covering the bed of the truck. It was pretty cold in the morning so we were wide awake on the ride. Along with us there was a couple from Italy and 4 Chinese teachers that teach in Rayong, Thailand. The ride takes about 1.5 hours and is beautiful as the road meanders through the Thai countryside; eventually arriving to Erewan National Park. 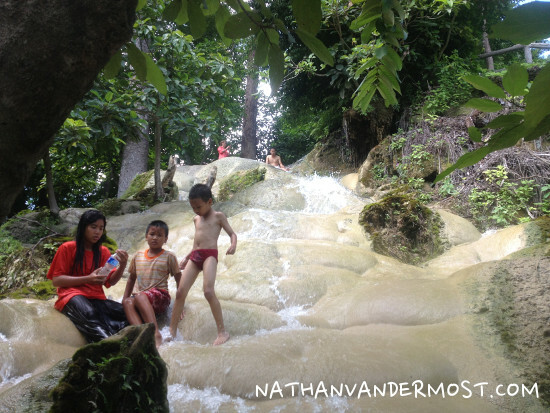 Once we reached the park entrance, we had to pay an entrance fee of 200 Baht or $6 USD. If you have your Thai work permit (as we do but forgot to bring…) then the cost is 30 Baht or $1 USD. There is a very large parking lot but since we arrived early we were able to park near the front. 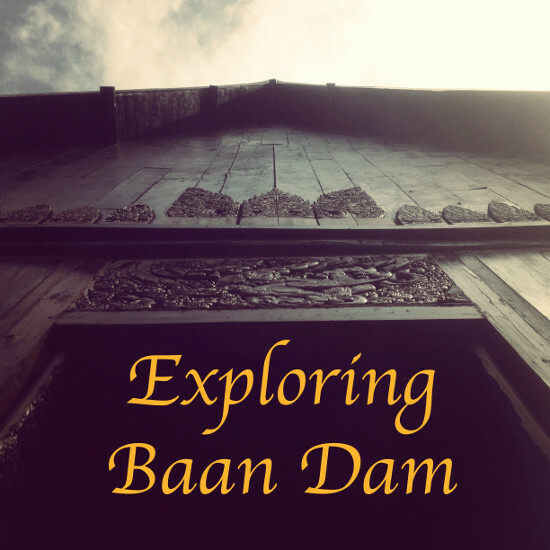 After arriving there is a paved path that you walk for 10 minutes until you reach the Erewan river. The trail continues along the river, passing seven waterfalls. 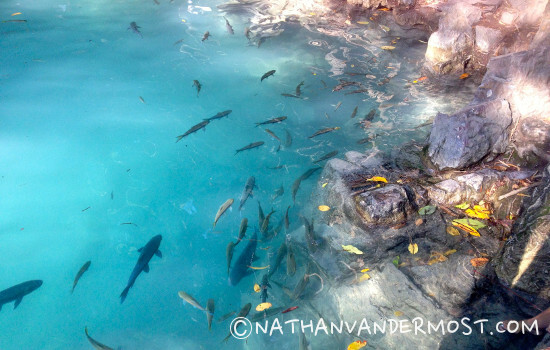 The first waterfall is very picturesque with a deep blue pool and huge fish that can be easily spotted. 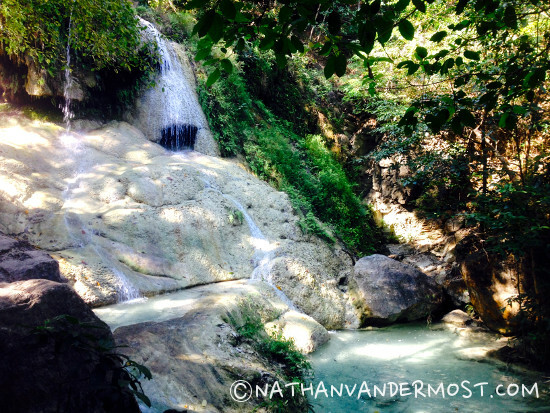 We casually walked up the trail, while stopping at each waterfall to take photos and enjoy the view. The water was too cold to go swimming but there were some people that happily jumped in. As we continued up the trail, some waterfalls were larger and more photogenic than others. Once we reached the sixth waterfall we could not continue any farther as there were park rangers repairing wooden steps along the trail. 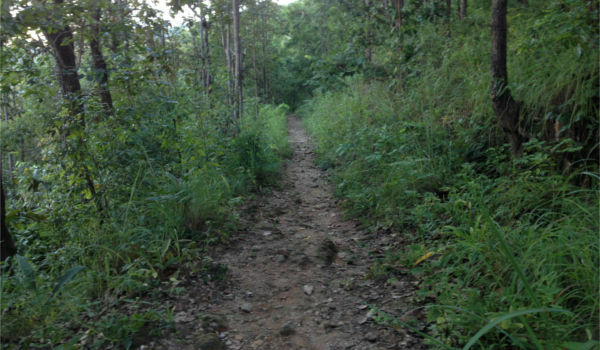 We had to get back to the parking lot at noon to catch the public bus back to Kanchanaburi so we headed back down the trail at 11 am. I was very surprised about the amount of people that were coming up the trail. 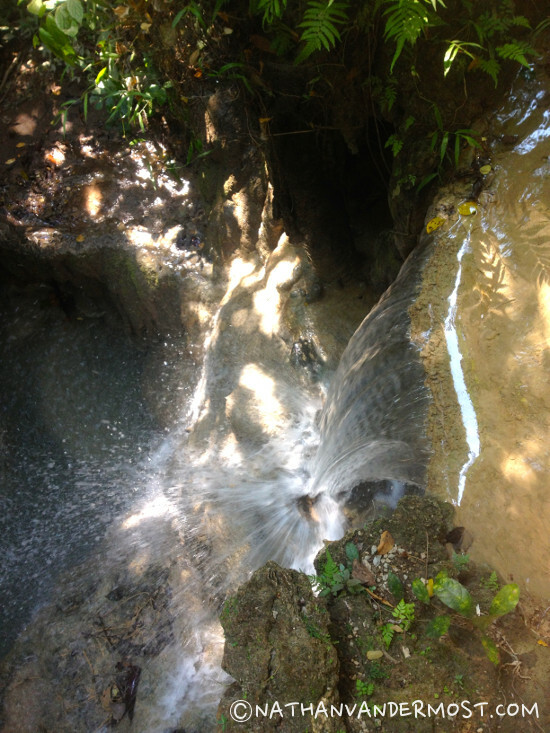 Erewan waterfalls is an extremely popular tourist destination. Since we had arrived early to the national park, we were able to take advantage of the smaller crowds. I would highly recommend getting to the park as early as possible. Once we arrived back to the parking lot, we went to one of the many food stalls to buy a coconut and then boarded the public bus to Kanchanaburi. 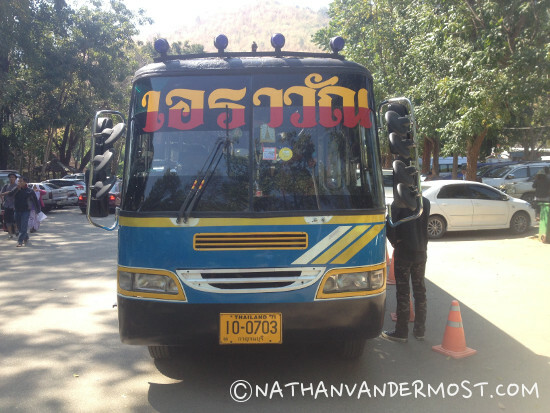 The bus is parked near the entrance of the Erewan waterfall trail and was easy to locate. We boarded and made it back. The bus is very popular amongst locals and very affordable. It is not as fast since there are many stops along the way but a great transportation option. There is a bus stop across from the Thailand-Burma cemetery which makes for an easy walk to the main street.